On June 4th Sonia Sotomayor released an extensive, completed questionnaire about her past to the Senate, and I picked up on the fact that her solo law firm “Sotomayor & Associates” didn’t have any actual associates. This raised an ethical issue, albeit a small one, because it was misleading to the public. The private firm overlapped both her time in the District Attorney’s office and her time with her next gig, Pavia & Harcourt. And there my little post sat, relatively ignored. Until the Washington Times picked up on it in an editorial on June 20th. While I don’t agree with their premise that it was indicative of larger issues, it was nice that they at least gave attribution to me for finding the item. And now today the ethical issue of “Sotomayor & Associates” lands in the New York Times (Little Information Given About Solo Law Practice Run by Sotomayor in ’80s.) The Times treats the story as original material to the paper, without giving attribution to others. The White House has described Ms. Sotomayor’s outside legal work as an informal practice, one that never required her to file legal documents or appear in court. She never incorporated Sotomayor & Associates or registered it as a business in Manhattan or Brooklyn, where she then lived, according to public records, though she was not required to do so. Stephen Gillers, professor of legal ethics at New York University Law School, said Judge Sotomayor’s use of the larger-sounding title was “inadvisable because it is inaccurate.” He noted that bar associations frown on the use of the term “and associates” by single practitioners. “She could have just said, ‘Law Offices of Sonia Sotomayor,’ ” he said. Why did I bother with this minor issue to begin with? Because I sometimes write about the practice of law for small practitioners, about legal marketing and its problems, because the nominee fell into that zone of commentary, and because massive layoffs in the legal field were sending folks out on their own. It was meant as little more than a cautionary tale for those starting up their own practices to be careful about over-promoting themselves and running into trouble. Now if we could turn to the ethics of the New York Times in using the stories of others without giving credit…. 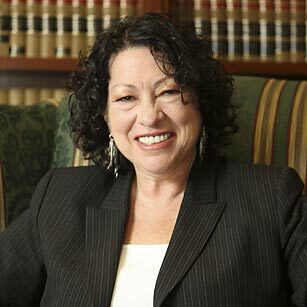 “Sotomayor & Associates” … meh, who cares? legal ethics — and journalistic ethics…. legal ethics — and journalistic ethics. You would be a very, very busy individual. We’ve linked to your post (good journalistic work!) at Legal Ethics Forum. Btw, when I’ve discussed the issue of saying “Offices” rather than “Office” I have heard ethics gurus take both sides of that issue. Personally, I’d advise against it. Ping: “Sotomayor & Associates” … meh, who cares? This isn’t going to eventually show up as a tax dodge she was doing, is it? I can’t think of how it could have been used that way, but there does seem to be a theme. This is about the first person Obama has nominated who hasn’t had to make a trek over to the IRS with a post-dated check. This isn’t going to eventually show up as a tax dodge she was doing, is it? It’s possible. Paul Caron at TaxProf speculates on that. It could be the act of taking a deduction for a home office when no real work is being done there. It is, of course, speculation.